The design is characterized by simplicity and purity in its entity. 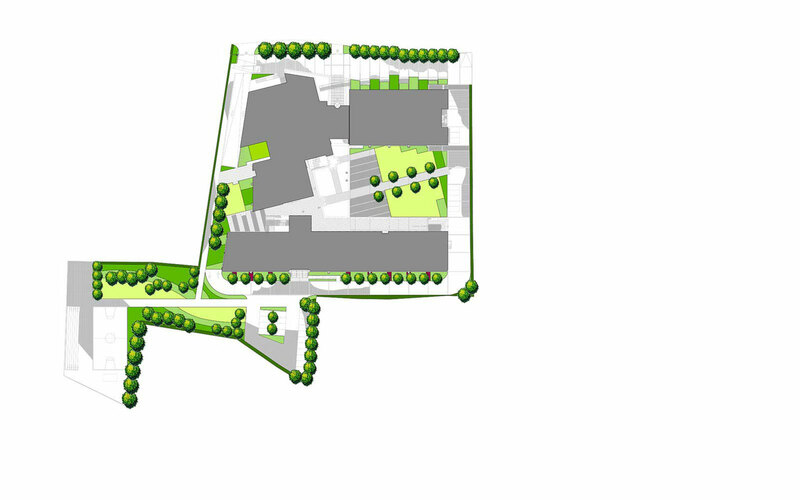 The main axes of the building were used in the development of the green spaces. The goal was to achieve a surrounding area not competing to the building but being complementary to it. The main 'canvas' consists of turf areas that unify the space while creating, accessible spaces for workers and visitors recreation. 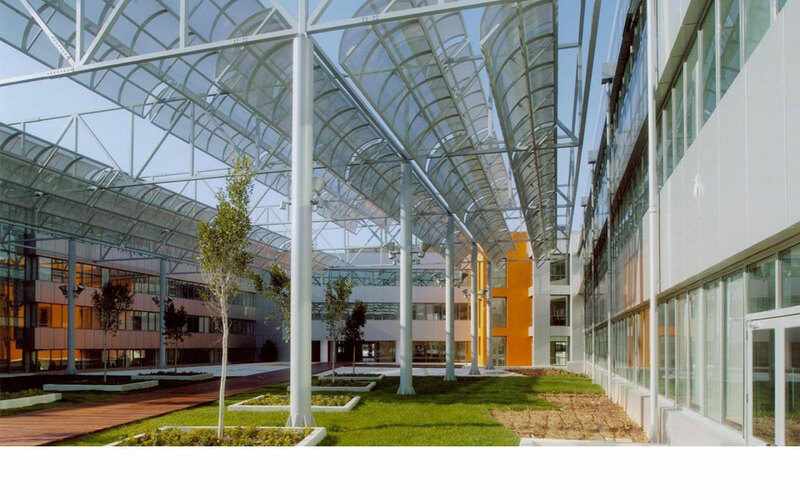 The planted area of the central atrium, formed between buildings A- B-C, is the main space of interest of the complex. Planting included shrubs in geometric shapes, framing the turf which follows the architectural movement elements.